With all the recent fervor over Nirvana’s Nevermind reissue, it might have gone overlooked that another landmark record was birthed in 1991. 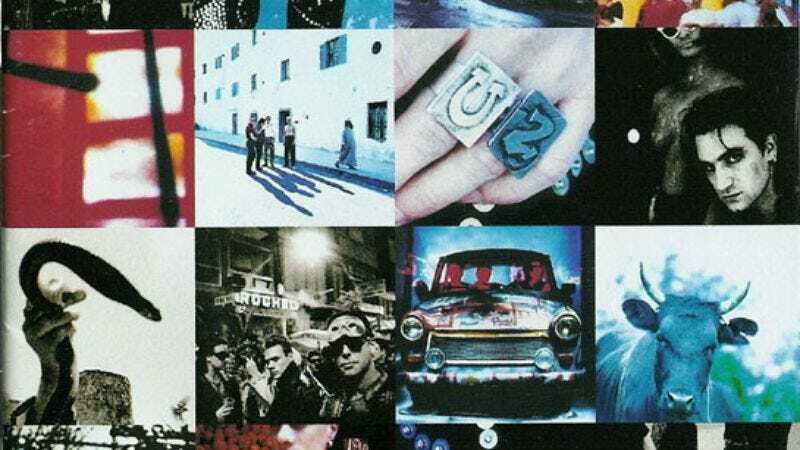 Twenty years ago this Halloween, U2 released Achtung Baby, an album that improbably succeeded at following up 1987’s The Joshua Tree with a flurry of equally—and deservedly—beloved singles including “One,” “Mysterious Ways,” and “Even Better than the Real Thing,” not to mention comparably robust sales figures. Anyone who saw Bono, the Edge, Larry Mullen, Jr. and Adam Clayton on their record-breaking 360 Tour knows they’ve been all but presaging an inevitable Achtung boxset by commencing shows with several of the album's cuts. Now, it is written: On November 1, exactly two decades and one day since its original release, the 20-year commemorative edition of U2’s last truly earth-quaking LP will be unsheathed. As has been the case of late with similar offerings, the buffed-up Achtung Baby will be purchasable in vinyl, CD and digital formats, and come equipped with the requisitely awesome clearinghouse of demos, documentary footage, videos, B-sides and breathless liner notes.